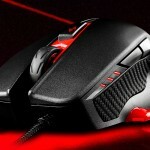 What is one of the easiest things to overlook when gaming? Comfort! It is easy to loose track of time and responsibilities when gaming, but one should never overlook being comfortable. 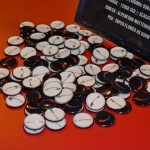 Not only this, but users who have prolonged gaming sessions should also make sure their posture is good as to not cause any long lasting effects on their spine, or harm their bodies in any way. 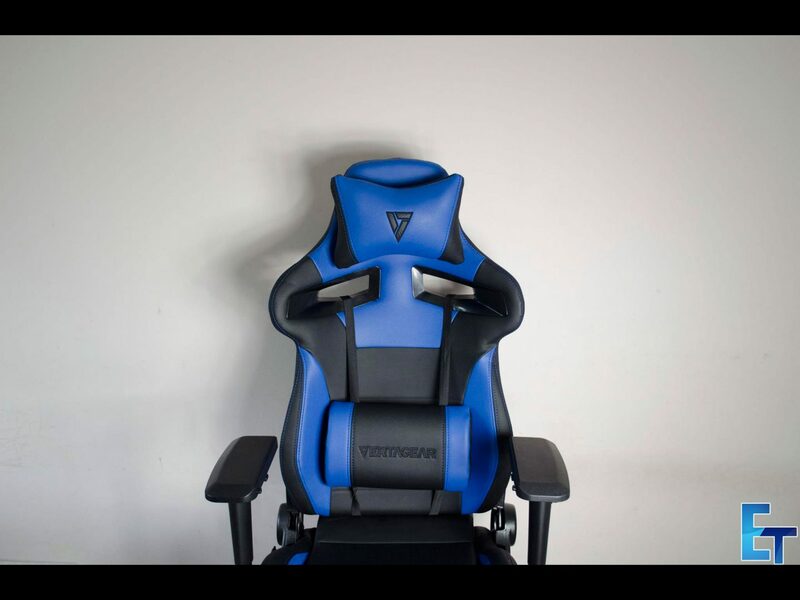 Recently, gaming chairs have become a huge thing in the PC Gaming market as not only do they look amazing, they are comfortable and also can help combat bad posture if used correctly. 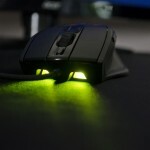 While a lot of gamers are happy to just sit on a wooden table chair, they’re are much better options and they should be aware of the effects it will, unfortunately, have on them down the road. 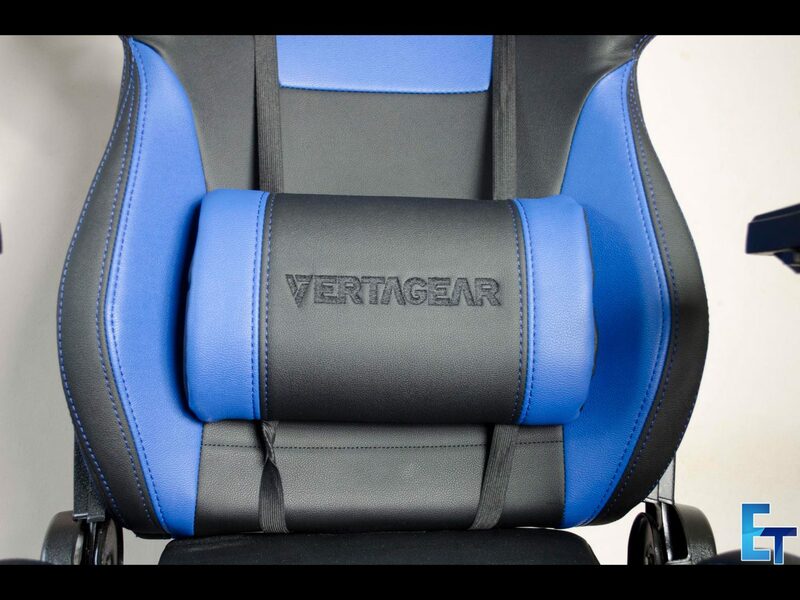 Today, as you’ve probably noticed by now, we will be taking a look at the Vertagear SL4000 Gaming chair. These chairs not only feature an amazing racing type look, they also offer some incredible functionality. These chairs are very solid while offering lots of padding to make them comfortable. They also have adjustable seat height, back, and armrests so you can get everything set perfectly for your own individual needs.To top it all off, they feature soft-glide wheel and come with a lumbar and headrest pillow to help make you that much more comfortable. 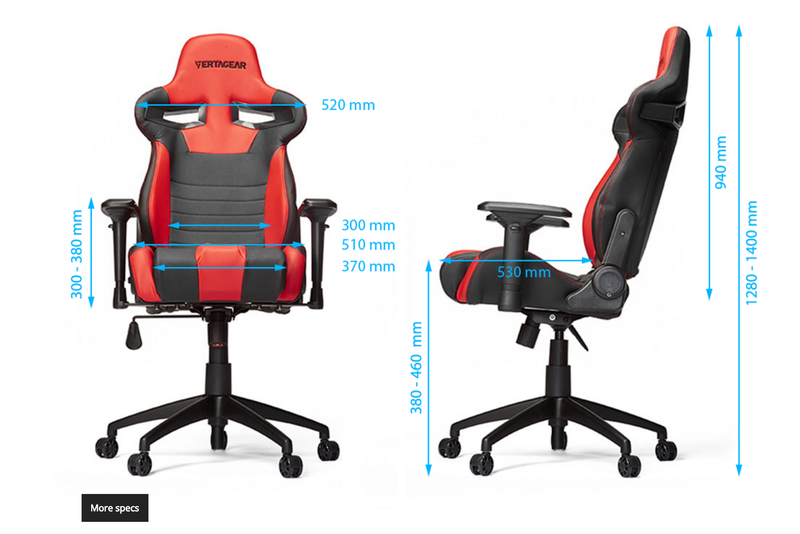 Below is a nice image of the size specifications we have borrowed from the Vertagear website as we felt it was better than just listing them all out in a table. 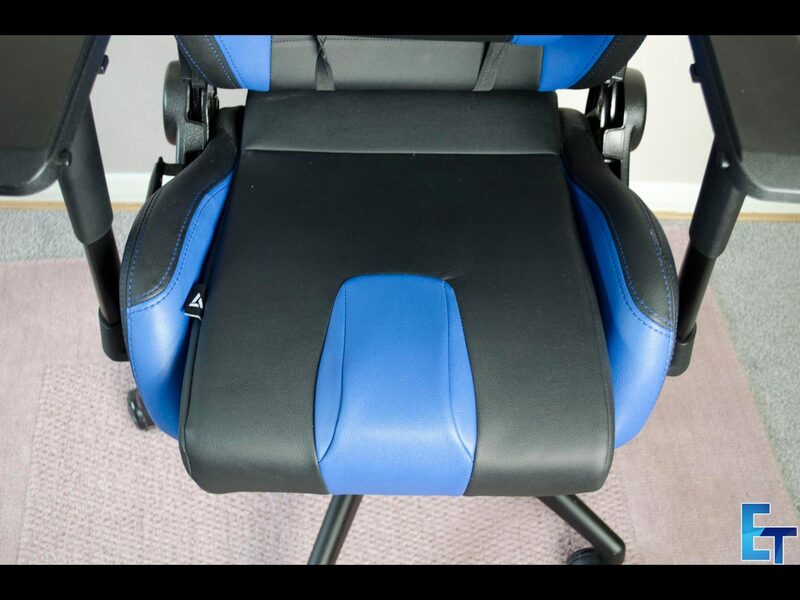 As you will see, it is designed to offer great comfort and support, especially for those longer gaming sessions. 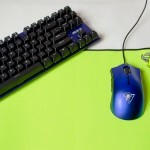 The SL4000, as do most of the Vertagear Gaming Chairs comes in a variety of colours. As you will see, the chair itself looks like something straight out of a race car and it pretty much is. 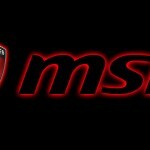 What do race car drivers and gamers have in common? Well, they both spend hours on end sitting in their chairs so it only makes sense to model gaming chairs after those found in race cars. Well, it makes sense to me anyways. I’ve been using the SL4000 for around a month now and have to say, it is definitely the best office chair I have used. The chair will come in a massive box and is very easy to assemble. It’s literally just lining a few things up and using the included Allen keys to tighten some bolts into place. IF you’re like me, once you’ve got it all assembled, you will want to start playing with it and figuring out for yourself what all the buttons and levers do. 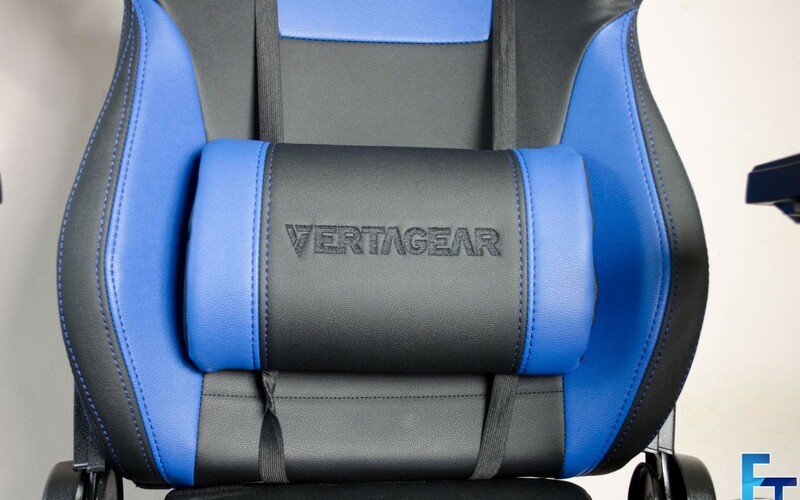 Vertagear has also included a head and lumbar pillow to only further add to the comfort the SL400 has to offer. 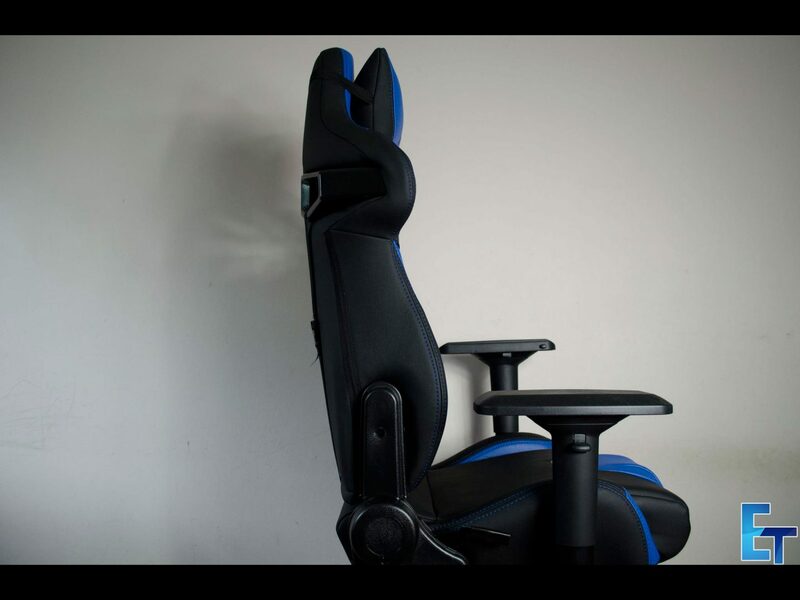 Not only do these add a level of comfort, they’re also designed to help keep you in good posture during those long sessions of gaming where you are sitting down for hours on end. The long lasting effects of bad posture are something that probably goes overlooked by most gamers and is actually very important. As you will notice, the SL4000 has a nice dual-colour theme going on that really helps it stand out, this will also allow for a lot of gamers to have their chair match their build if they like as it does also come in other various colours. 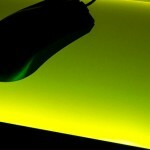 The SL4000 is filled with high dense resilient foam that is covered with a PVC leather exterior. 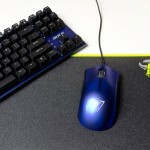 Vertagear has done a great job with making the SL4000 functional and aesthetically pleasing all at the same time. Taking a closer look at the included cushions, they both continue with the overall pleasing aesthetics and comfort of the SL4000 and are easily removed if not required as they are only attached by a couple of straps. The straps also all the cushions to be moved and placed where each individual user will need them. The base of the chair, where you will hopefully set your but is going to be what makes or breaks the chair for some in my opinion. While it comfortable for someone my size, 5″11 and 190lbs, it may not cater to the bigger folks out there. The reason for this being is on each side there are what also look like walls to help keep users in place. There is also a rather large hump in between where the users legs will go as we can see in the image below. While these contours are fine for someone like myself, I can’t help to think they may be a little bit uncomfortable for people who are a bit bigger than myself. When sitting in the chair, I can feel these and while it doesn’t discomfort me, I would imagine if there was more weight pressing down on these it would most certainly become uncomfortable. The back of the SL4000 offers a great reclining aspect and almost lays back completely flat. When I first tried this out, I though the chair was just going to tip over if I kept going back, but surely enough it stayed upright. The SL4000 is designed to offer comfort and support not matter what position you have it in and it keeps good on this promise. 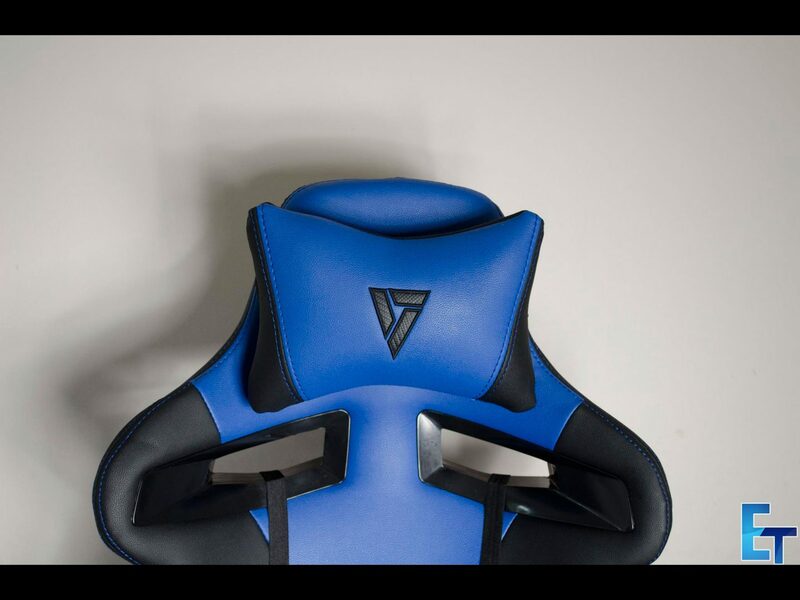 Taking a quick look at the back of the chair and it is all black with a small “V” logo towards the top of the head rest. We can also get a better look at how the straps on the cushions are attached to the chair and again, these are all easily removable if you want to use the chair without the cushions. Myself, I found the lumbar support cushion to be a bit too much so had to remove it from the chair, but it was nice to have it there just in case I did need it. Even the armrests on the SL4000 have multiple positions. 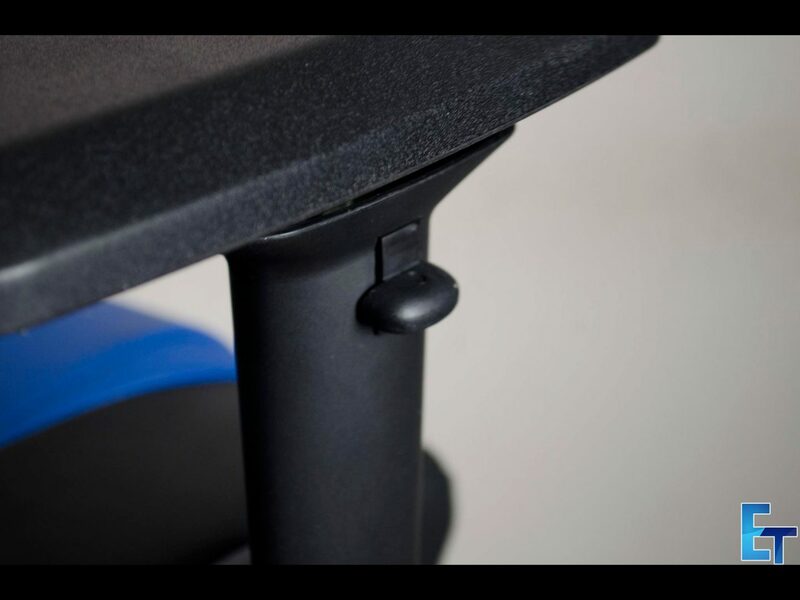 In the image below, the button in the middle of the armrest allows you to move it left/right or closer/farther away from you while the other button will allow you to move the armrest closer to your desk or further away. 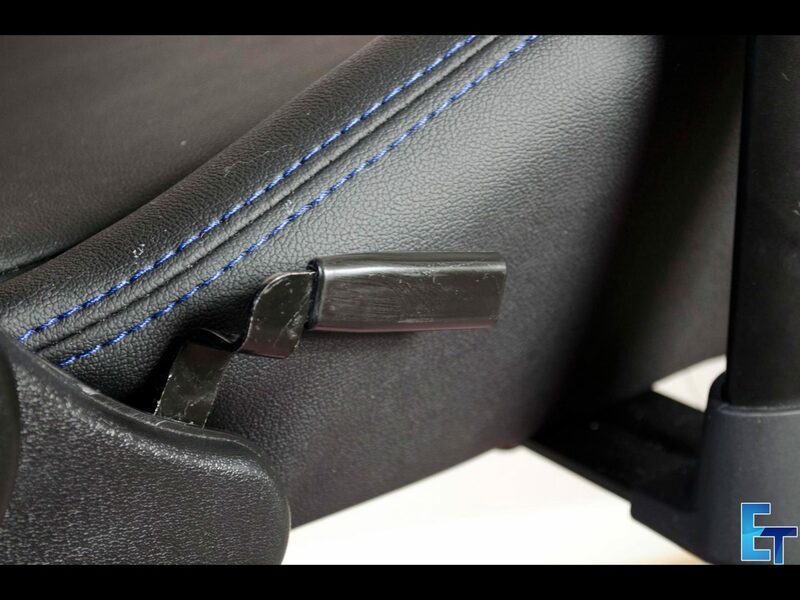 On the outside of the armrest is another button, this will let you move it up or down so you can find that perfect spot for yourself. No feature has been left out from the SL4000 and Vertagear has done a great job making sure this chair can accommodate a wide range of users with ease. On the right hand side of the chair is the small lever that you can pull up to recline the seat back, or, pull it up a bit if need be. Underneath the seat is the last and final lever, this lever is going to allow you to move the base of the chair up and down. This will come in handy depending on how tall you are and how high up you like to set and at the end of the day is another great way to allow the SL4000 to accommodate a wide range of users. 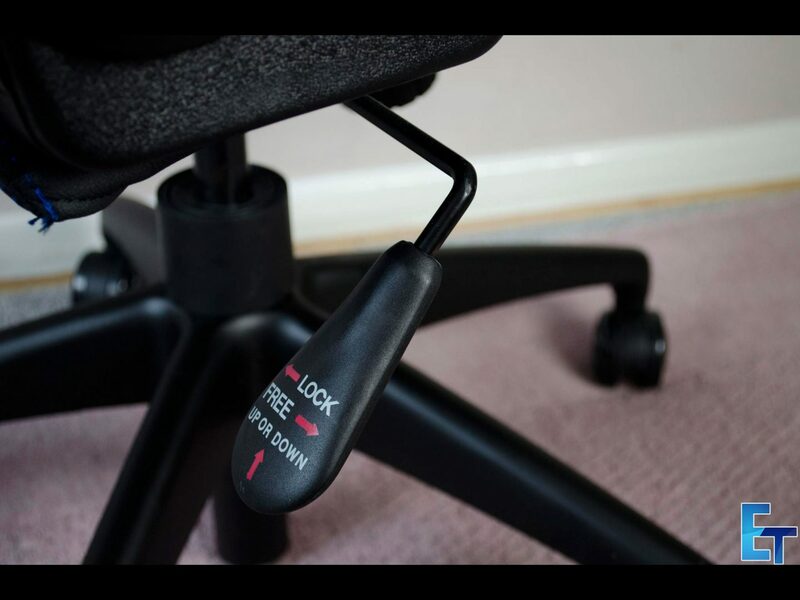 This lever also offers a feature to lock or unlock the spring in the chair. The spring allows you to lean back the whole chair and is a great feature found in most office chairs. It all comes down to this, the 5-star base and soft-glide wheels. 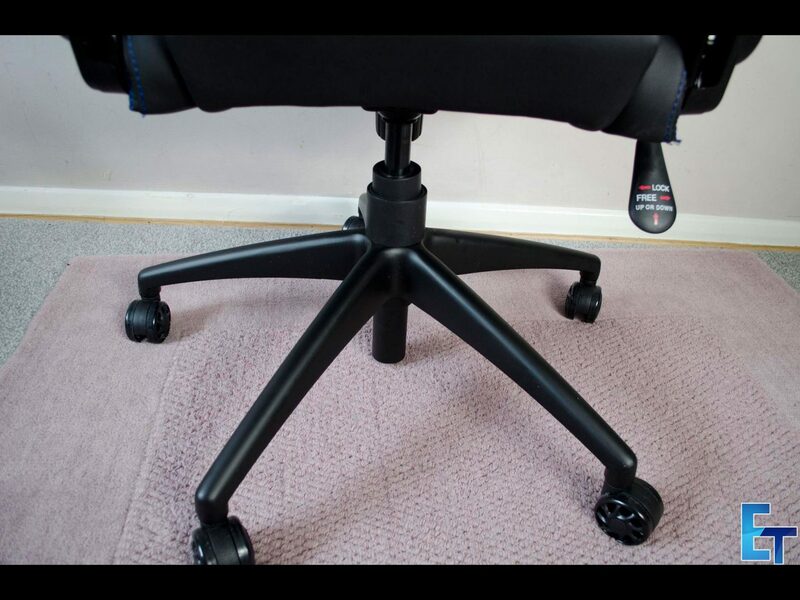 The 5-star base is what is going to make sure the chair never topples over on your, as long as you are using it properly and the soft-glide wheels offer a great way to move the chair so you can get in and out of your desk. Well, the time has come, I’ve spent a many of hour sitting on my but in the Vertagear SL4000 to make sure I got a good feel for it. I also wanted to test it out a bit longer as to make sure it was still comfortable after excessive time spent in it, which is surely is. 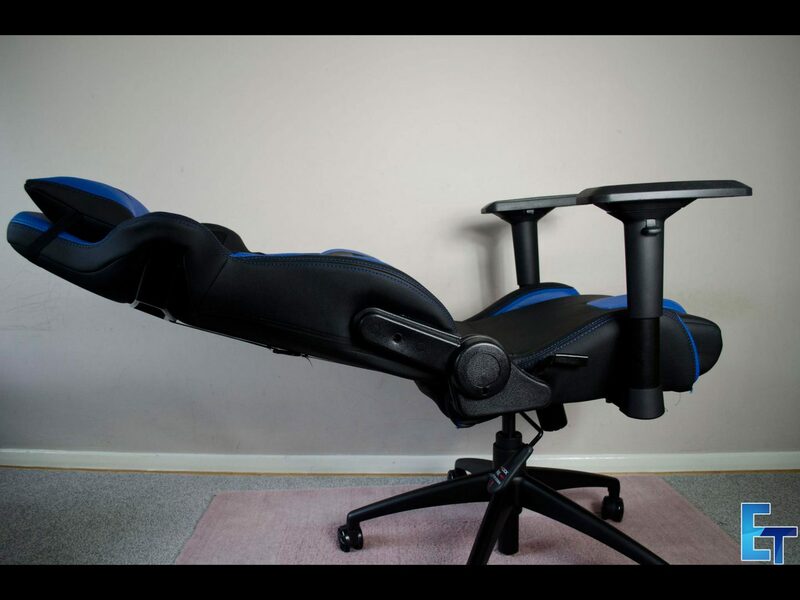 This is probably going to be the biggest concern when buying a new chair, is it comfortable? Well, I can honestly say the SL4000 is comfortable even after prolonged times sitting in it over the span of a few weeks. 95% of my work is done from my PC so I spend much more time sitting in a chair than others and more that I would like really. The importance of a good chair is crucial to me as not only can not being comfortable be distracting, it can also cause long-term effects which I don’t want either. The SL4000 comes with a plethora of options to allow each individual user to customize it to their exact needs which are great. 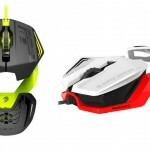 The only thing to keep in mind comfort wise as the little walls on the side of the base and the jump in between where your legs will go as these may cause issues for our bigger friends. The design of the SL4000 is impeccable and while it may be similar, if it ain’t broke, don’t fix it. 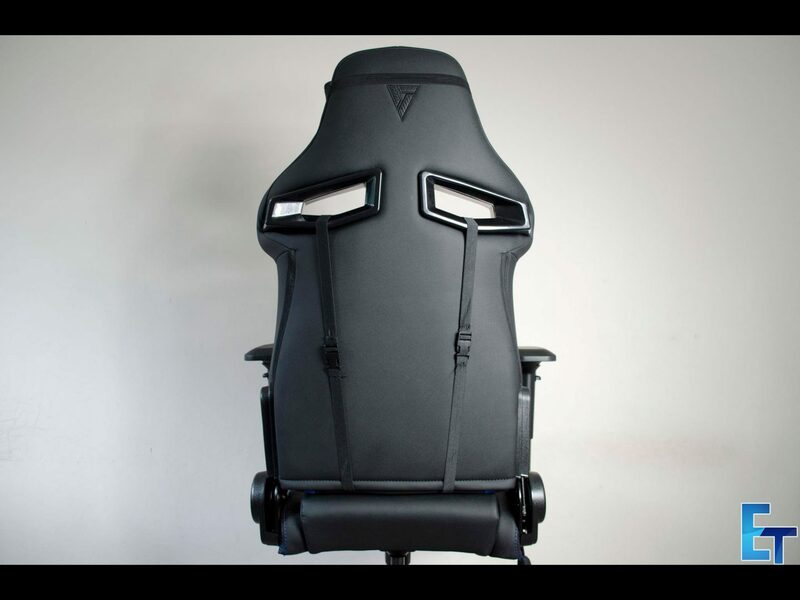 There is a reason why race car drivers use similar chairs to this in their cars that they drive around for hours and the simple fact is that they do their job. They are comfortable, ergonomic and can help to reduce long-term effects from sitting in a chair for longer than you should. Not saying they will stop all effects, but they definitely offer a great way to reduce them. The SL4000 comes in a couple of different colours which is always nice and has some nice and dense padding, which is covered in a nice PVC leather that looks great. Vertagear has designed the SL4000 to provide great function while remaining comfortable and look good while doing so and it does! All the customization options only help to further benefit the SL4000 by giving the users full control of their comfort. 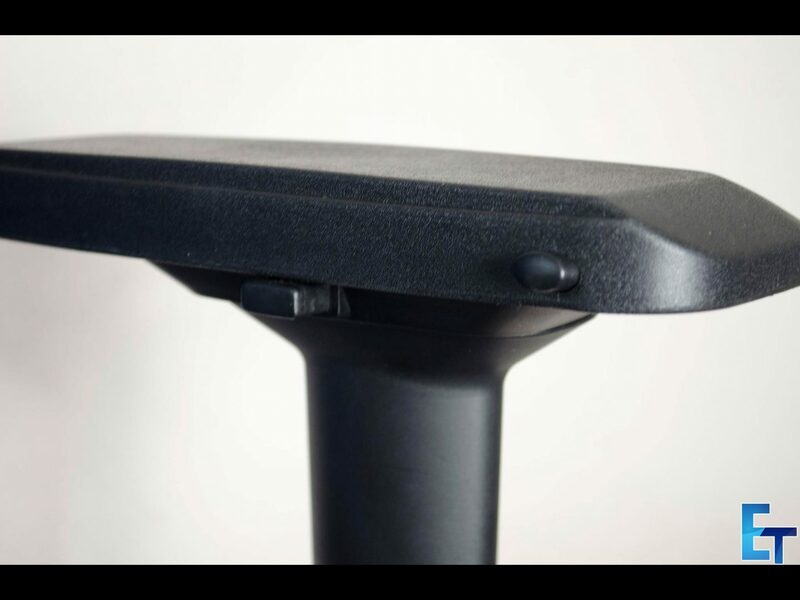 As always, this is my least favourite part of the review and the part that may put a few people off, especially from a top of the line gaming chair such as the SL4000. 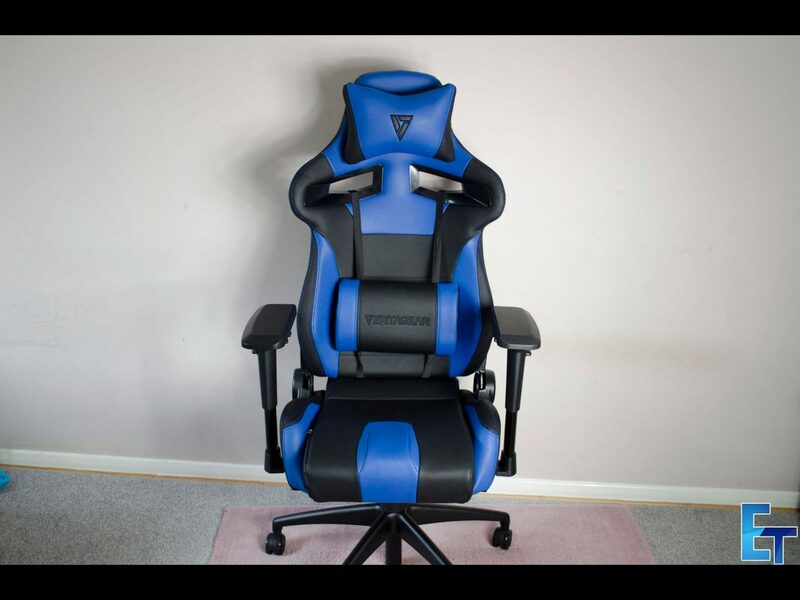 Coming in just shy of £220 from our friends over at Overclockers UK, the Vertagear SL4000 is far from one of the cheapest chairs around. 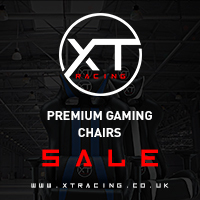 Actually, this price kind of puts it into “Premium” range of gaming chairs, where it is not alone mind you. 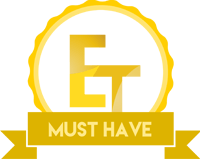 When scoping out some of the competition, you realize that this price tag isn’t really far fetched and seeing other companies selling chairs that even cost more than this, helps make it seem more reasonable. 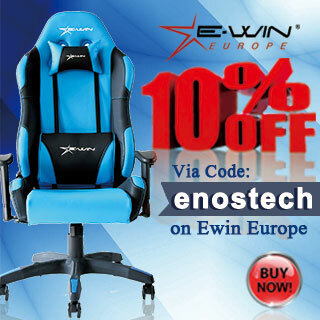 You also have to remember what you are getting, this isn’t your run of the mill office chair, this is a gaming chair that is also designed to offer great comfort and ergonomics. Even small things like the inclusion of the two support cushions add on to the value and really do make this a chair worth owning. I have to admit when I first got the chair I was like oh boy, it’s an amazing looking gaming chair but I am not so sure about the price tag. After my time with the chair, I can now notice a great difference in my posture overall and I can spend much more time at the PC before needed a break due to being uncomfortable. 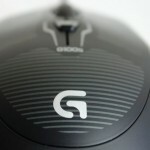 When it comes down to it all, you are paying for a quality product that delivers great comfort and is aesthetically pleasing, especially for us gamers! Massive thanks to Overclockers UK and Vertagear for arranging this sample of the SL4000 for us today.